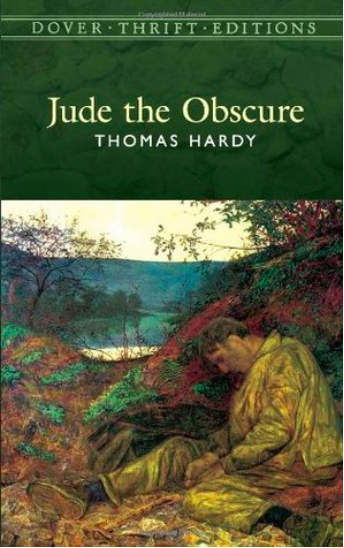 I hadn't planned on reading a third Hardy novel this year (I read Under the Greenwood Tree and A Pair of Blue Eyes practically back-to-back) but recently comedian Michael Ian Black started a podcast called Obscure in which he reads one chapter of Hardy aloud per week, interspersed with his comments. He goes off on tangents and does terrible accents for some of the characters, and I find it delightful. However, if I read along with Michael, it would take nearly a year to finish Jude, so I've read ahead. And let me tell you, Hardy deserves the reputation of my first impressions. Jude has four main characters who are all miserable, and terrible things happen to them. It is possibly one of the most depressing books I have ever read. Here's the setup: schoolteacher Mr. Phillotson is packing up and leaving a small village in Wessex to continue studying at Christminster, a large university town (based on Oxford). Young Jude Fawley, a bright but poor pupil, is sad to see him go and vows to someday go to Christminster himself to study. As a poor boy with no resources, and being of a lower class, this is practically impossible. He lives with his great aunt who is full of dire predictions about the Fawleys, and how they should never marry, that they are essentially cursed. Nevertheless, Jude works hard, gets hold of some Greek and Latin grammar books, and does his best to study on his own. As he grows up, he begins training as a stonemason, while still improving himself by studying late into the night. Then his plans are sidetracked one day when he is literally hit in the face (with pig offal, no less) by a sultry temptress known as Arabella. Yes, women are the root of all evil. Jude is a strapping young man and he is distracted, as is to be expected, by the temptations of a woman. One thing leads to another and rather than the shining halls of Christminster, Jude is led down the aisle by Arabella because she has led him to believe that she is In Trouble. Eventually, their marriage turns sour and they separate. Jude vows to begin a life of chastity and study. However, he tracks down his cousin, Sue Bridehead, in whom he finds a kindred spirit. Sue everything that Arabella is not. Of course, he falls in love with Sue but can't have her. Clearly, Hardy had some very serious thoughts about the nature of marriage and love and happiness. 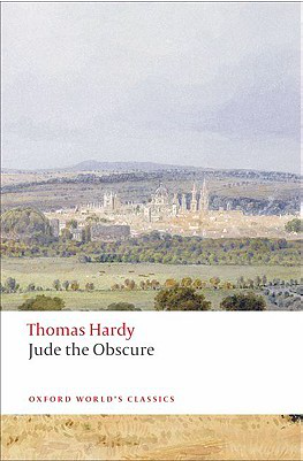 I had read a bit about Hardy in Wikipedia and I knew that he had a very unhappy marriage; also, that Jude the Obscure was so controversial for its time, and that there was a great deal of backlash. Though Hardy lived another 30 years after the publication of Jude in 1895, he never published another novel, just plays and poems. I cannot say that I liked Jude, but I can appreciate the writing and parts of the plot, but I don't think I can forgive Hardy for that terrible plot twist. Jude the Obscure definitely gets my vote for Most Depressing Book Ever. The wonderful Rachel Griffiths is Arabella and Liam Cunningham is Jude's former tutor Phillotson. Who knew that the Onion Knight from Game of Thrones was in a Hardy adaptation? He is my favorite GoT character so I might take a look out of curiosity. 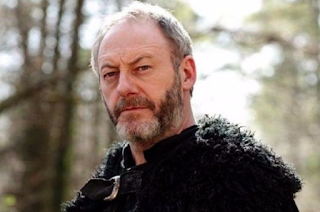 Liam Cunningham as Davos Seaworth, the Onion Knight in Game of Thrones. Should I bother watching the film version of Jude? Is it the most depressing book ever? Should I give Hardy another chance or are all of his novels just soul-crushing? I'm counting this as my Classic That Scares You for the Back to the Classics Challenge. I always consider it Number One on my most depressing book list too. I did see the film back in the 1990s, and that part of the plot you're referring to isn't glossed over at all 😓 It's really well done, which makes the nightmare potential even worse. We get so engrossed in the characters and Hardy's wonderful story-telling, it's like a kick in the gut. Exactly -- it WAS a kick in the gut! I was really rooting for Jude and Sue and hoping they'd find a little happiness. It was worse than anything I've ever read in Zola. Can't disagree. Read it when I was 18 and forty years later, I'm still traumatised!! When I wept buckets over Tess I should have steered clear of more Hardy, but ironically I was applying to Cambridge at the time and wanted to be able to write about Hardy if an appropriate question came up in the entrance exam. It didn't. I wrote about metaphysical poetry instead. Avoided Hardy ever since. I don't know if you remember when I read this book, but when that particular plot twist came up - and I'm guessing we're talking about the same one - I wrote this on my blog: "This book punched me in the gut. The climax scene (with the children, if anyone else has read this) was the most powerful and horrifying thing I’ve read in a really, really long time." 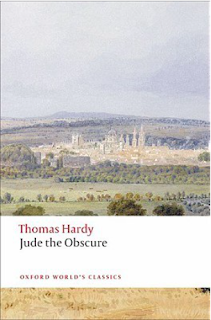 However, I think that a large part of the backlash against this book was Hardy's extreme diatribes against the church and morality. He was not shy about his views! Anyway, I would have loved to discuss this one in our long-defunct book club!! It's really got a ton in it. I think curiosity might kill the cat here but I need to read this book now. Even if only to agree with you and to find out the terrible plot twist. Great review, thanks. I need to read as well—I’m a sucker for plot twists! I read The Mayor of Casterbridge maybe ten years ago and my reaction was pretty neutral. Perhaps this will be good iPad reading after I finish my current book. Hardy is definitely a downer. Do not read when already unhappy! I think Jude is probably the downeriest, but Tess is pretty bad, too. The only one I've read that has at all a happy ending is Far From The Madding Crowd, and even that's only just barely. Agreed -- not a writer when you need comforting. Under the Greenwood Tree also ends happily. I did like A Pair of Blue Eyes which doesn't end happily, but I could see the ending coming a mile a way and it was almost a Victorian sensation novel, so I didn't mind as much. Plus the plot twist wasn't nearly as awful as in Jude. Although I like his poetry, the only Hardy novel I have read was part of 'Under the Greenwood Tree' when I was at school. I could not get on with all the dialect, and never finished it, or read another of his novels, feeling they were not for me. I think my first impressions were correct when I read his reviews! I mostly listened to it on audio so it was a little easier. Dialect is tough. I'm very interested in the earlier novels, especially Desperate Remedies which I am told is more of a Victorian sensation, which I normally love. I read the book about 35 years ago but it's not one you can ever forget. I watched that film too. Jack watched it with me and I can remember him complaining about how harrowing it is - I said - wait until it gets to the end! At least that won't shock you now. I actually had a vague idea of the plot twist because I saw the subject headings on the library's webpage (thanks for the spoilers, Library of Congress!). But it was SO MUCH WORSE than I expected. I love that one of your tags for this post is 'train wrecks' -- the perfect 2-word summary, I'd say. I've only ever read (um, tried to get through) 'Tess' by Hardy, but if I had any delusions about trying again this has certainly cured me of them! Thanks! I usually reserve Train Wrecks for Zola novels -- his characters are such train wrecks but they are so well written, I cannot stop reading. Sigh--I may have an inkling of what you've been feeling with Jude. 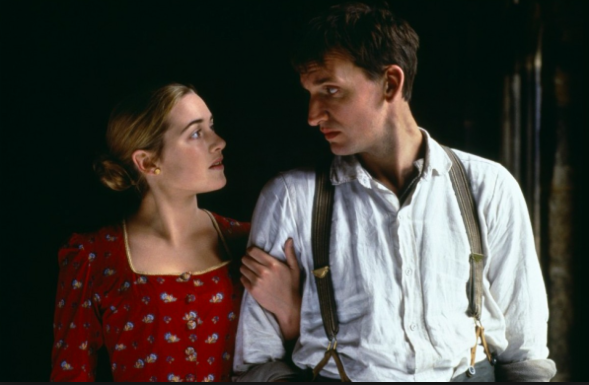 I read Return of the Native and Tess of the D'Urbervilles when I was in my late teens and twenties. I vowed to steer clear of Hardy after that. Before my vow, I tried reading criticism of the novel, I tried understanding his contribution to the English Literature of his time, I talked to other students who seemed more enthusiastic about the novels, to try to discover why they liked the books. But nothing worked for me. Whatever Hardy was trying to say, I couldn't tolerate the depression I felt when in the midst of one of his books. I'm truly sorry, but I'm afraid I'm not helping with your predicament. I am going to read this someday, but I have the same response when I read a Hardy. If you haven't read Far From the Madding Crowd or Return of the Native, I would still give them a try. The stories are in some places tragic, but the endings are redeeming. Tess was absolutely horrid!!!!! I mean, it was emotionally effective, as Hardy is -- he gets us every time -- but truly, the man hated life. Oh, yes, certainly Hardy's most depressing novel, if not the most depressing novel of all time, although Tess comes close. I love Jude, though--read it in college and again in my 30s and continue to love it. Hardy's others aren't quite as dark, although I wouldn't call any of the major novels cheerful. Jude is truly depressing, as is Tess and my personal favourite The Mayor of Casterbridge. I believe I read that the harsh criticism that Hardy faced over Tess and Jude resulted in his decision to write poetry instead of novels. I do love Jude though and have read it twice.